More than 7,000 Green Knights have called Saint Joseph Regional "home" over the past fifty-five years. Some families have taken it a bit further. 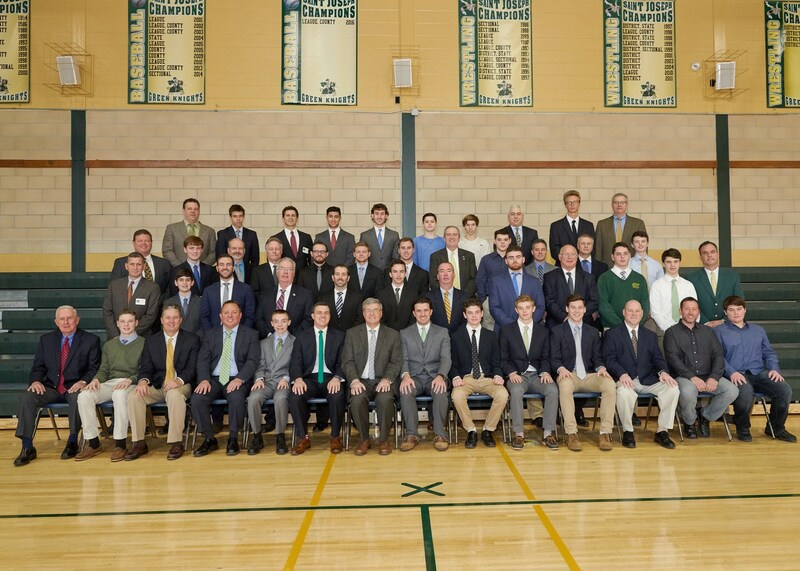 There are 91 families with multiple SJR graduates including fourteen legacy families in the Class of 2020 alone. "It feels like home for us. We just hope that the kids feel the same way," said George Stewart '89, father of Evan '18 and Shane '20. "It's a special thing when your kids can follow in your footsteps and do better than you did." 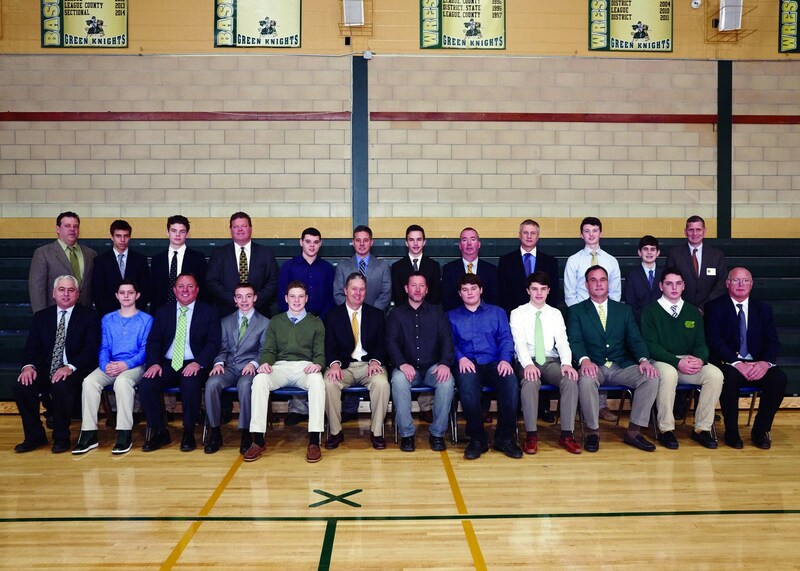 The very first legacy sons were Patrick Biegal and Chris Killilea of the Class of 1995. Both were National Honor Society inductees involved in multiple activities at school. Biegal even serving as the school mascot. Since then 121 sons have followed their fathers through the Montvale halls with an equally diverse set of interests. The Class of 2020 legacies have already shone brightly in the classroom, on the stage, on the lacrosse field as well as through the campus ministry program. So what about being a Green Knight has such an allure? "People see the value in a faith-based education. People that walked these halls realize that these were the best four years of their lives," said Dan Kelly '87, father of Brayden '20. Stewart added: "Being around strong teachers and coaches while preparing for the next stage of their life was very important to us." "My experience at SJR was both a nurturing one and a challenging one. I knew Declan would be pushed to succeed at SJR, and I can see that happening already," echoed Patrick Henry '86, father of Declan '20. For their part, the current crop of students seem to share those sentiments. For Brayden Kelly '20, Dan's son, the decision to attend SJR went beyond his father's connection to the school. "Yes, my father's experience had an impact on my decision, but also the ones of my uncle Tom (Kelly '82) and two cousins, JT ('12) and Shane (Kennedy '15). They all spoke so positively about the impact it has had on their lives." Chris Santise '89, father of Troy '20, recognized that connection from the other side of the table in speaking for his fellow dads. "St Joe’s molded us into the people we are today. All that are returning had very positive experiences and want our sons to have the same." One notable aspect of the decision process for the sons was just that — it was a decision and it was their decision. "I wanted to share the experience with my boys, but it was their choice," said Kevin Stapleton '81, father of Devin '20, Dylan '17, Matt '14 and Sean '12. His brother Brian '90 also has a son, Devin, in the Class of 2020. "I'm glad they made the right choice," he added with a smile. Nearly all of the current Class of 2020 legacies took part in SJR's Knight for a Day program, shadowing a current student to get a real sense of what goes on during a typical day at school. "When I came to visit, everybody, faculty and students alike, was so friendly with one another, which was how my father described his experience when he attended SJR," mentioned Declan Henry. Chris Nelson '83, father of Chris '20, recalled the decision-making process proudly. The younger Chris, who lives only an 1/8 of a mile from Bergen Catholic, shadowed students at both schools. "We definitely wanted Chris to go to a Catholic school, but I wanted him to decide on his own. The easy decision was probably Bergen because it was so close, but he found Joe's to be more family-oriented and a better fit for him." With nearly thirty years between walking the halls as a student and as a parent surely much has changed. "The biggest difference is the technology available to the students. The Chromebook initiative and online learning have changed the landscape of education for this generation at SJR," suggested Henry '86. "It is great to see our high school as one of the early adopters of the technology." While change is inevitable in some sense, the core values at Saint Joseph Regional remain the same and dictate the nature of the experience in the hallways. "Over the years I had always been impressed with the commitment to academic success along with continuous improvements to the facilities. As a parent, I wanted my son’s high school experience to be fulfilling while also preparing him for the challenges ahead, in college and beyond," said Chris Santise '89, father of Troy '20. There is no doubt the alumni fathers feel a sense of pride in seeing their sons take advantage of the same opportunities they enjoyed as young men. "When fathers look back to their time here, they appreciate the great opportunities they were given by their parents and their teachers and want the same for their son," said the elder Henry. The common thread between all of the legacy families in the Class of 2020 was a sense of family, of faith and of unique opportunity. Brayden Kelly added: "What made me want to come to Saint Joe's is the opportunity to practice my faith in a learning setting along with the ability to be exposed to all the opportunities this great school has to offer." "Everybody here realizes what we're sacrificing to put our kids in school," said Stapleton. "So it just feels like family when you walk through the doors and it helps build a tremendous foundation for our boys." 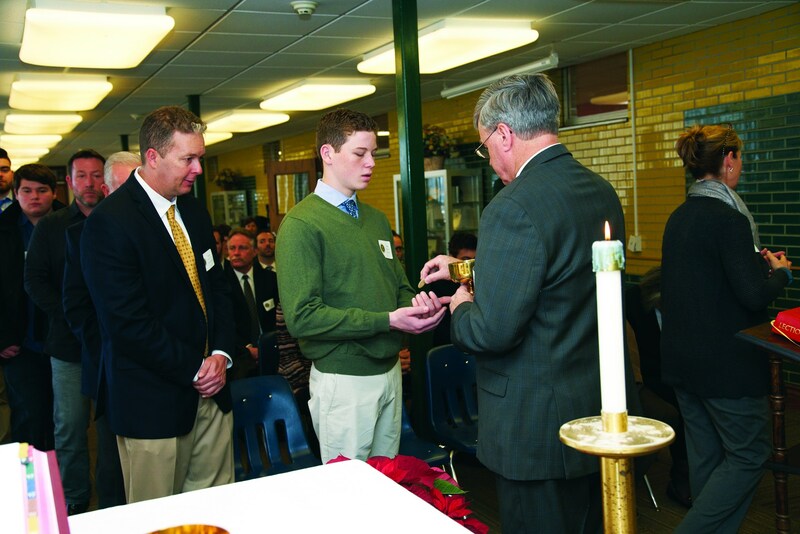 The school's mission is to create that foundation for success and to graduate the Vir Fidelis, the “Faithful Man." Nelson concluded, "My wife and I know that when you leave St. Joe's, you come out a better person, the person that we want [Chris] to be coming out of high school."